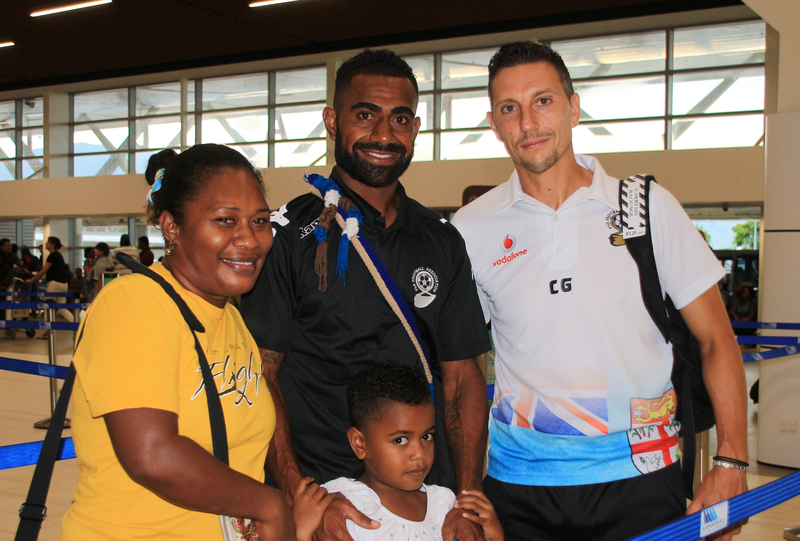 The Vodafone Fiji Football team left our shores early this morning for the 2018 FIFA World Cup Russia qualifiers stage 3 away match. Head coach Christophe Gamel is concerned about injuries to his two key defenders Taniela Waqa and Remueru Tekiata after yesterday’s fixture. “I lost two players Taniela Waqa and Remueru Tekiata concerning injury and I have to fix it as soon as possible,” he said. The Frenchman said fatigue would be downfall factor to the team. “The boys looked really tired when they woke up this morning because we had a very tough game yesterday. “I’m really worried about Tuesday because the difference between professional and amateur is that it is usual for the professionals to travel, change and recover fast while it is totally different for us. New Zealand only needs a draw to advance to the next stage of the qualifiers. Gamel said beating the All Whites in front of their home fans would be hard, but possible. “Things are simple. We have to win our remaining matches if we want to qualify. “We have to push the New Zealand team in front of their home fans which is a crazy possibility. The away match between Vodafone Fiji and All Whites will be played on Tuesday at Westpac Stadium in Wellington.